Bahrain is an archipelago made up of a series of series islands that lies on the western shores of the Persian Gulf. Bahraini is the largest of the islands and it is home to most economic work. Historically, Bahrain is situated at the site of the ancient Dilmun Empire, and this makes it home to several tourist attractions. However, most of the tourist attractions in Bahrain have not been well marketed but with an increasing expatriate population and massive investments in the financial and tourism industries, many more people are now aware of the major tourist attractions in Bahrain. Being a desert nation, most of the economic work is centralized around the main capital city, Manama. Because of this, most tourist attractions in Bahrain are also found within a short distance from the capital city. There are hundreds of awesome places to visit in Bahrain. Some of these places are discussed below. The Bab el-Bahrain souk (Souk means market in Arabic) is the most common market in Bahrain. This is why the most buying and selling of fruits, spices, souvenirs, clothing, and crafts in Manama happen. The market district comprises of hundreds of stalls lined up across the streets and millions of people flock the district every year the market is also a popular place where visitors buy gold and pearls. The market has been voted one of the most important and interesting places to visit in Bahrain. The AI-Fatih mosque or the great mosque is considered one of the most interesting religious attractions in Manama. Apart from its spectacular design, people often enjoy taking photos standing outside of the mosque in order to have the huge minarets appearing in the background. The Bahrain national museum is the flagship national museum. Having been opened in 1988, the museum offers fascinating information on the history and life of the island. 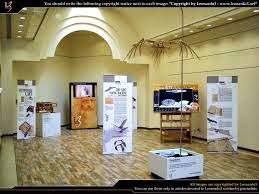 The museum is well air-conditioned, all the exhibits are well labeled in Arabic, and English to assist foreign visitors understand the artifacts. The museum is open all week but it is important to be aware of national holidays of Bahrain because it is never opened on such days. The entrance fee is minimal and the parking is free. Thus, it is important for any tourist to visit the museum in order to understand part of the country's history, culture, and traditions of the people of Bahrain. Last but definitely not least, it is important to visit one of the traditional attractions of Bahrain (The Beit Sheikh Isa bin Ali Palace). The Beit Sheikh Isa bin Ali Palace is a 19th century palace that used to be the official residence of Sheikh Isa bin Ali Al-Khalifa. The palace is well maintained, in order for visitors to appreciate the way the Sheikh lived. The palace is divided into separate quarters for the children, women, and men, as well as a private quarter for the Sheikh. 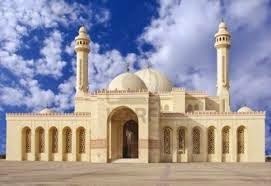 To visit these awesome places in Bahrain it is important for tourists to obtain Bahrain visas to avoid any travel hick-ups. You can obtain Bahrainvisas with the help of your employer, travel agency, or you can personally obtain them from their embassies or foreign consulate that is near you.